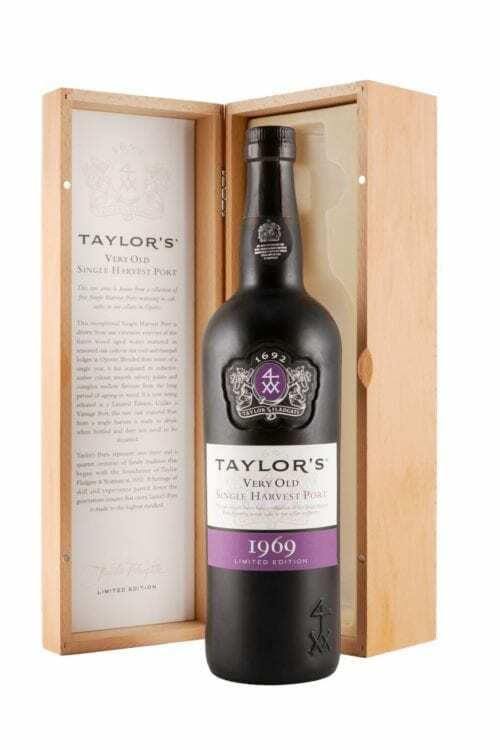 This is the sixth release of Taylor’s Single Harvest Tawny Ports (Colheitas) released on their 50th birthday. I received the customary pre-release test tube sample, but the final article is packaged in Taylor’s signature frosted bottle and packaged in a luxury wooden gift box, pictured. According to Taylor’s 1969 vintage report, winter rainfall from October to March was one of the highest on record. Although July and August were hot, the maturation of the fruit was delayed by the cool early Summer and consequently the vintage did not start generally until the beginning of October. So what about the resulting wine?